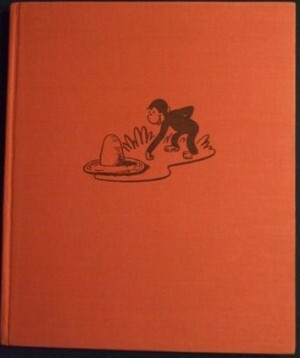 A first edition copy of Curious George is coming up for auction on July 12, 2007 at PBA Galleries. 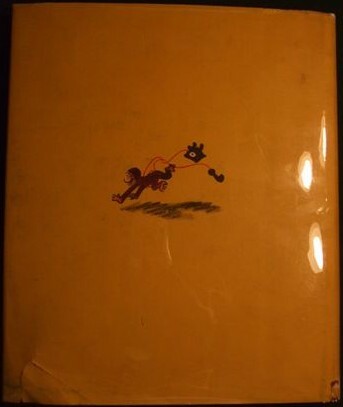 The first edition Curious George is quite rare, and some have estimated the book will sell for over $10,000. Having never been out of print, and with over 25 million Curious George franchise books sold, this auction will garner quite a bit of interest. 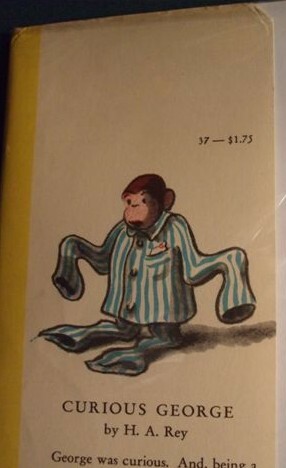 After extensive search, no auction records have been unearthed showing the sale of a first edition Curious George. The photographs being displayed on this page are from the actual book being auctioned. Created by the husband and wife team of Hans Augusto and Margret Rey (who were living in Paris at the time), the mischievous monkey Curious George first appeared in the 1939 French book Rafi et les 9 Singes. 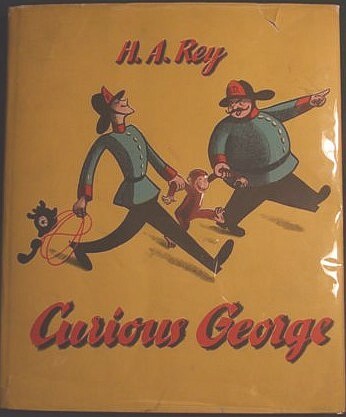 The book was followed by its 1939 UK version Raffy And The 9 Monkeys. In 1940, due to WWII, the Rey’s escaped Paris and circuitously found their way to New York. In 1941, Houghton Mifflin published Curious George, and the book has never been out of print. 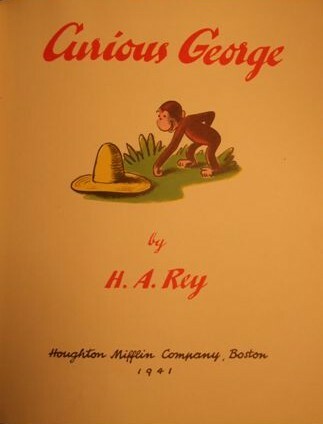 Curious George was followed by Cecily G. and the 9 Monkeys in 1942, then the Rey’s went on to publish five other books based upon the character. 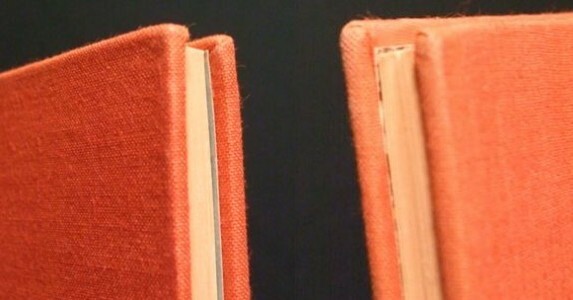 For sixty years these books have been capturing the hearts and minds of readers throughout the world. All the Curious George books, including the seven original stories by Margret and Hans, have sold more than twenty-five million copies. So popular that his original story has never been out of print, George has become one of the most beloved and recognizable characters in children’s literature. His adventures have been translated into many languages, including Japanese, French, Afrikaans, Portuguese, Swedish, German, Chinese, Danish, and Norwegian. 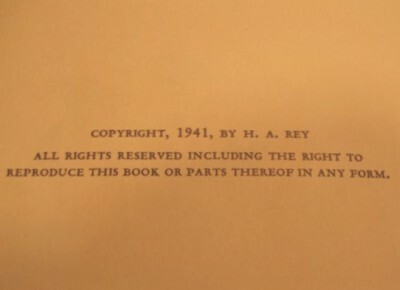 The key identifying point is the ‘1941’ on the title page, and no additional printings stated on the copyright page. 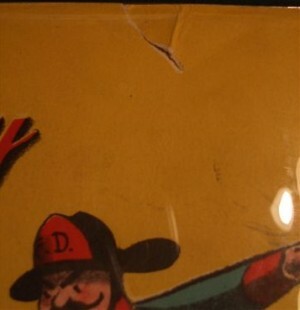 The key identifying point is the ‘$1.75’ price on the front DJ flap. 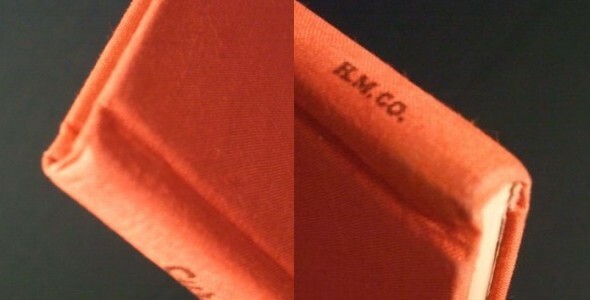 The book being auctioned by PBA Galleries is in fine condition, in a very good dust jacket. 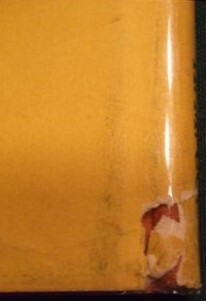 The binding is tight, with sharp corners. Pages only slightly off-white. The dust jacket on the book being auctioned by PBA Galleries is in a very good condition, with several small tears and some light soiling. There are two small tears on the front DJ. The first, about a 1″ long diagonal in the top right corner, and the 2nd, also about 1″ long on the bottom left corner. 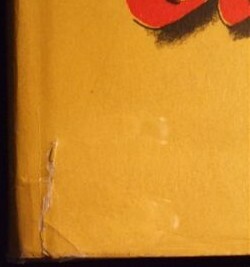 The back dust jacket has a 1 1/2″ tear in the bottom left corner and another tear at the bottom along the spine, with a small amount of paper loss. Thanks for the information Scott!